Reseated all the socketed ICs. Checked that power seems to be making it to the major ICs. Measured the various clocks -- it was something relatively easy to check with an oscilloscipe, and here's where I currently have questions. 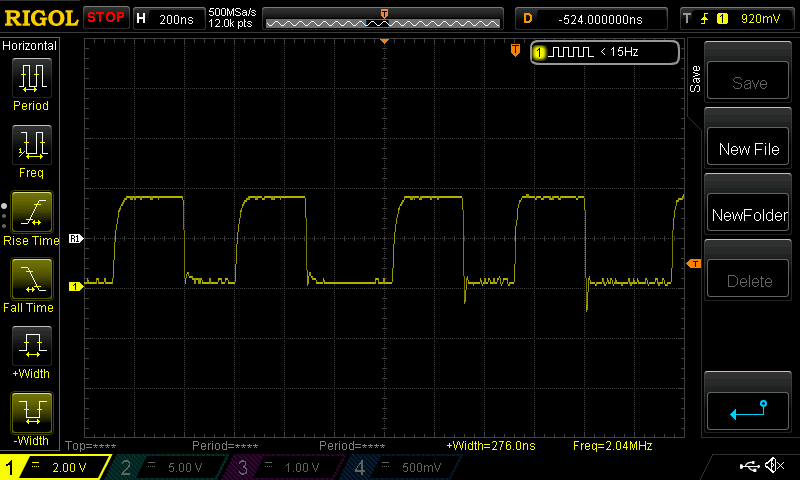 Pin 1 is spec'd to recieve the master clock signal at 14 Mhz; I measure 14.3 MHz. Good. Pin 2 is spec'd to recieve half the master clock; I measure 7.14 MHz. Good. Pins 14/15 are spec'd to output 1.027 MHz, roughly 180 degrees out of phase. The phasing is good, but I get .893 MHz. This seems suspect. Does it seem like a promising idea to replace the chip at UE8, or is this a red herring?